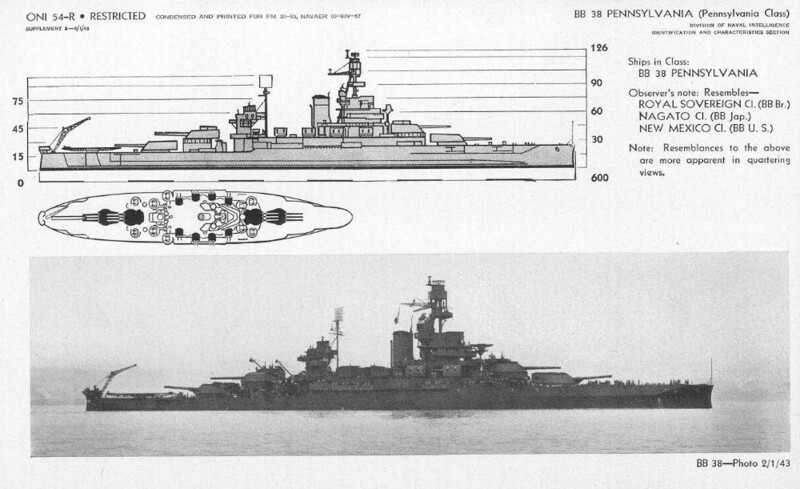 Dimensions 608' by 106'2' by 28'8"
19' (5.8m) underwater protection consisting of a 0.25" (6mm) retaining bulkhead, an inner 1.5"+1.5" (38mm+38mm) STS torpedo bulkhead, an outer 0.75" (19mm) STS torpedo bulkhead, and blisters. Designed to withstand a 300 lb (136 kg) explosive charge. 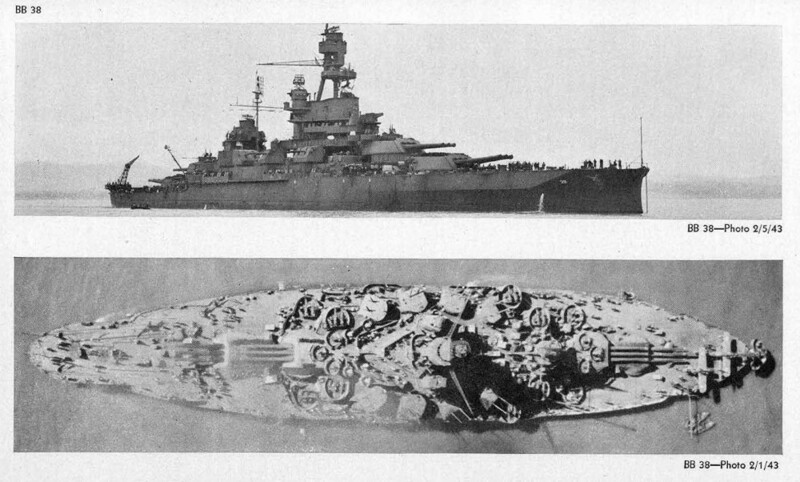 Spring 1942: Replaced 3" guns with 4x4 1.1"/75 AA guns. Added 16x1 20mm Oerlikon AA guns and SR, SK, and SG radar. 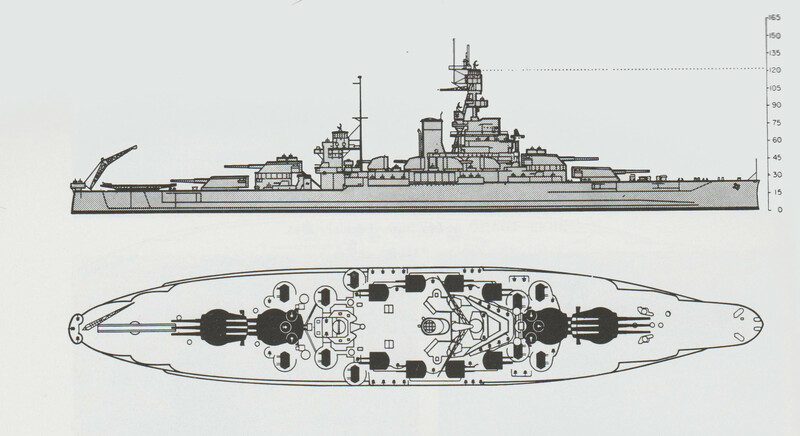 1943: 5"/25 guns replaced with 4x2 5"/38 dual-purpose guns with two Mark 37 directors. One catapult removed. Light antiaircraft upgraded to 10x4 40mm Bofors AA guns, 51 20mm guns and 8 0.50 machineguns. 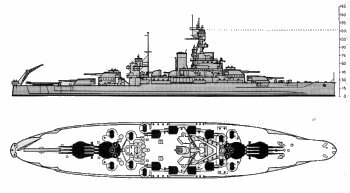 1945: Added 1x2 40mm guns, reduced 20mm battery to 33 guns, and added SP radar. 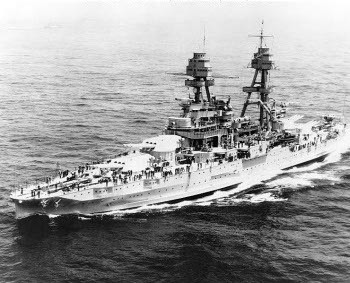 The Pennsylvanias were completed in 1916. 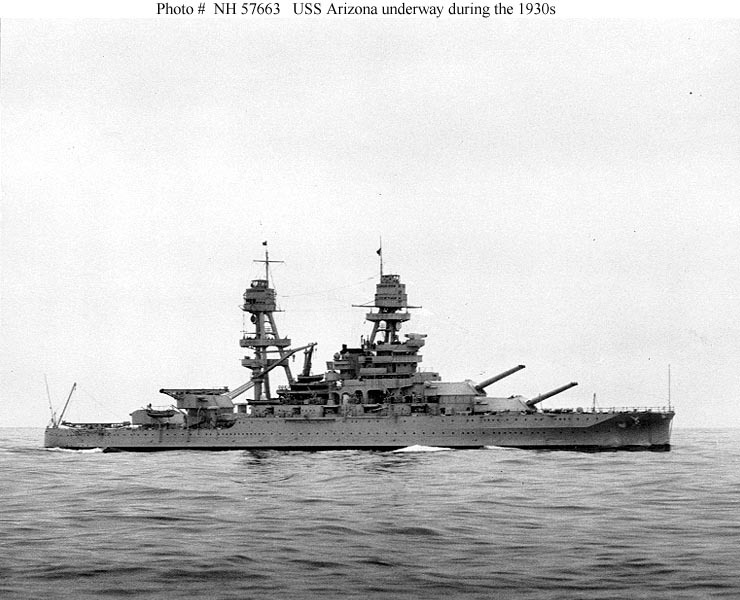 The second of the "standard battleship" classes, they resembled the preceding Nevada class. 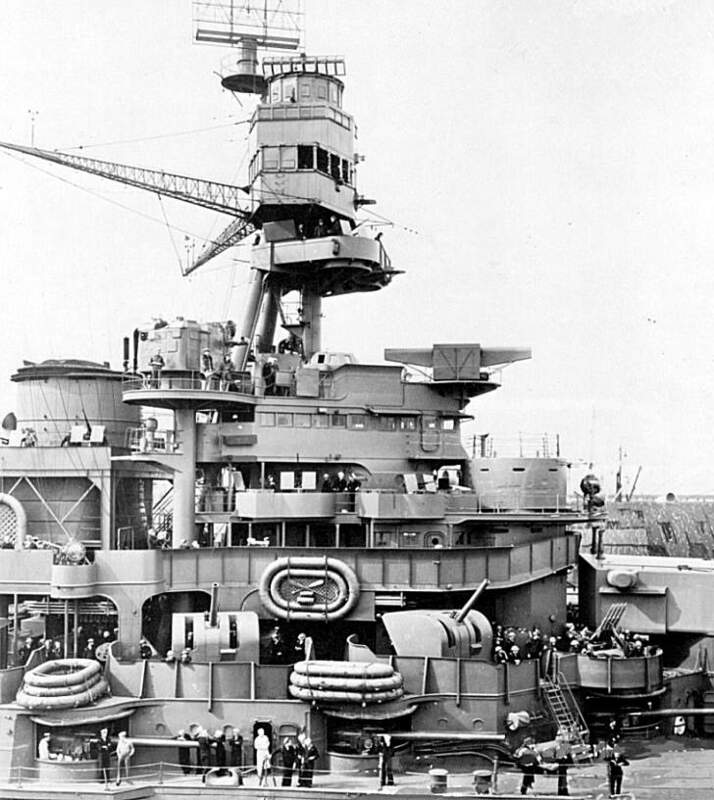 However, the Pennsylvanias had all triple turrets, for a main battery of twelve 14" (356mm) guns. The protection scheme was almost identical with the Nevadas except for the underwater protection, which benefited from caisson experiments conducted in 1912. 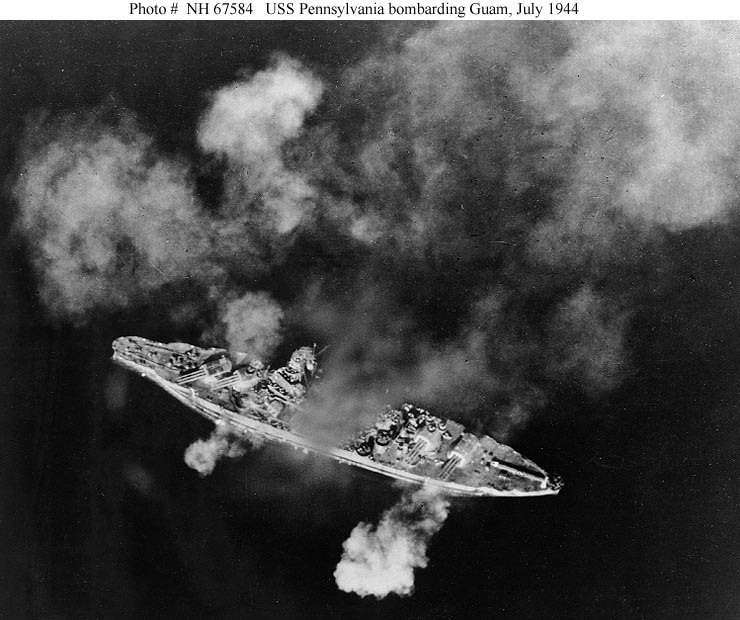 The resulting underwater protection system was capable of withstanding a 300 lb (136 kg) explosive charge, which made it the best in the world at the time. 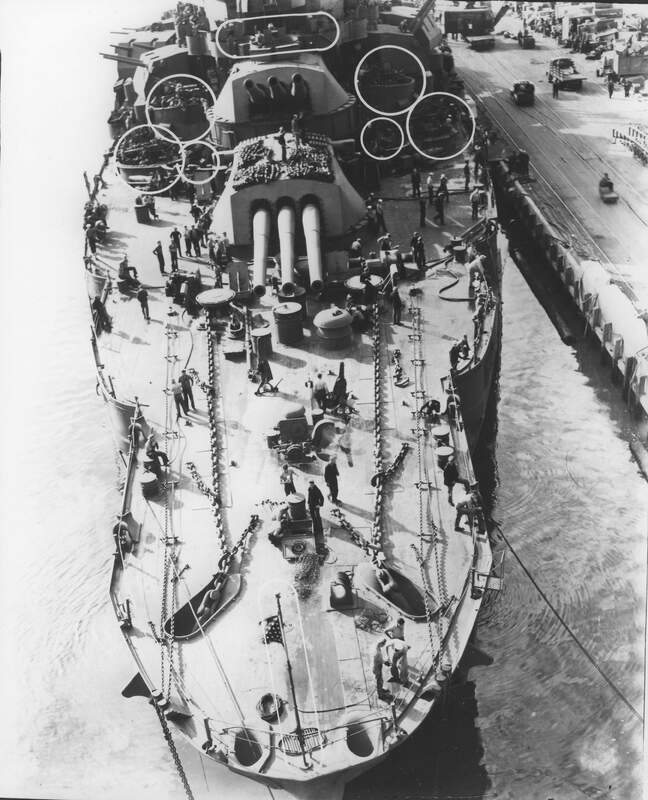 The ships also had four propeller shafts instead of two, which improved machinery dispersal and gave enough added power to compensate for the greater displacement. 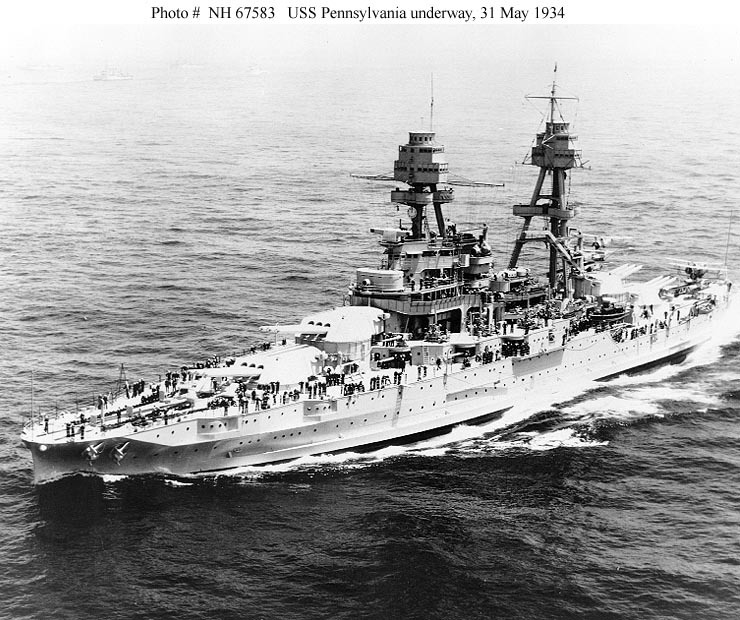 At the time of their completion, the Pennsylvanias were possibly the finest battleships in the world. 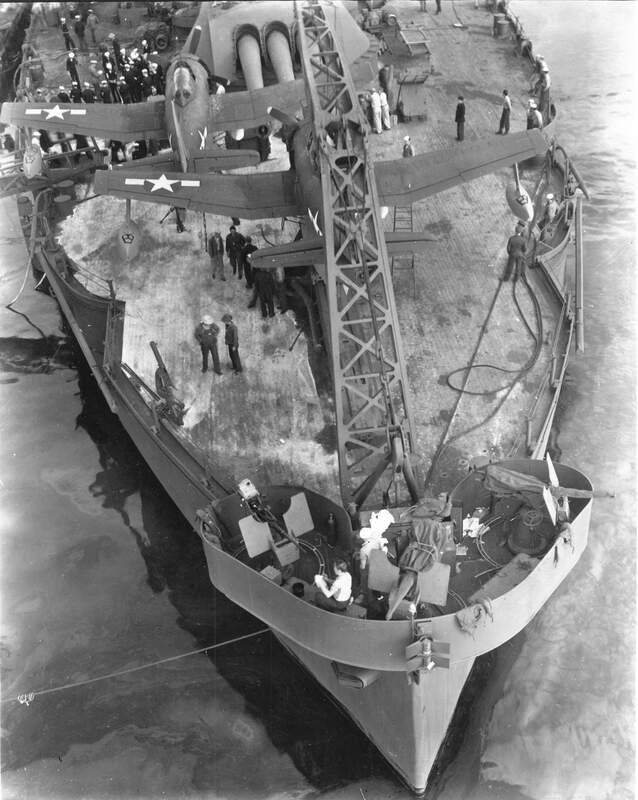 By 1941 they were obsolescent, particularly in their antiaircraft defenses, despite modernization in the 1930s that added an antiaircraft battery similar to that of the Nevadas and improved their horizontal and underwater protection and gun elevation. 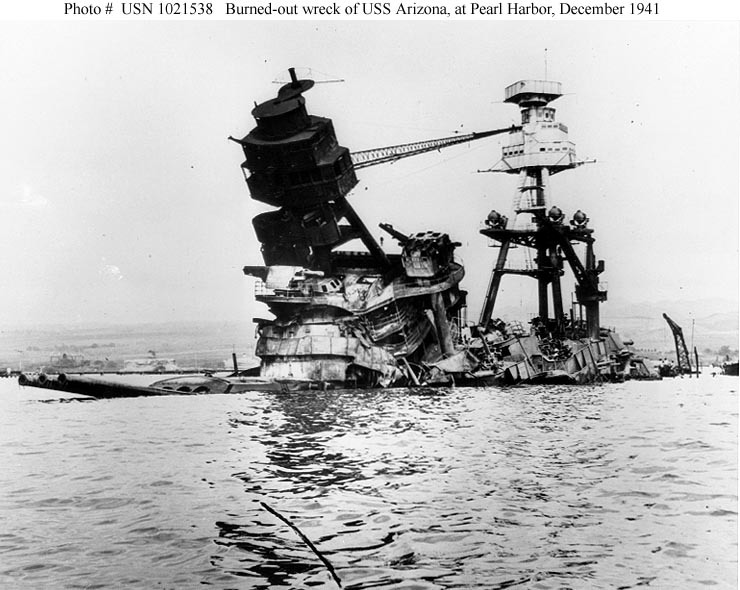 The more famous ship of this class, Arizona, was wrecked during the attack on Pearl Harbor by an explosion of the forward magazine. 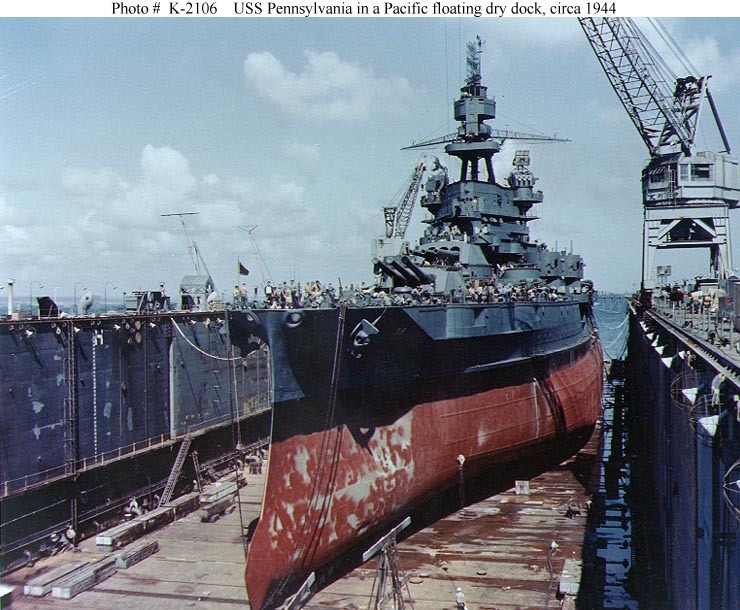 Pennsylvania herself was in dry dock and was probably the least damaged of all the battleships present at Pearl Harbor, suffering a single bomb hit that inflicted some casualties but little structural damage.